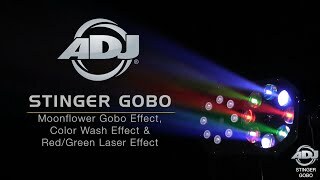 Considering purchasing the American DJ Stinger Gobo? Have questions? Ask people who've recently bought one. 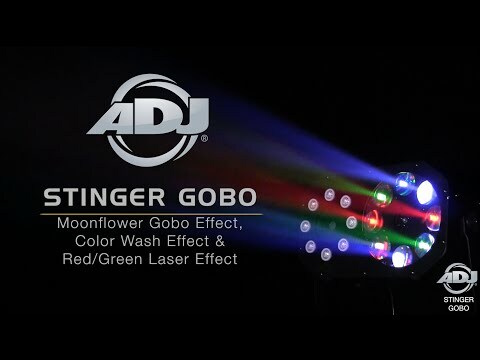 Do you own the American DJ Stinger Gobo? Why not write a review based on your experience with it. First of all, thanks dj kit as I won this in your advent competition, so made up! The light itself is incredible, the laxer has so many patterns, the gobos have a decent travel area so the effect is similar to a mac and the background colours seem to just add to the atmosphere. All in all, if you can only afford one light, this should be it. Seen a video for American DJ Stinger Gobo online or have you own video? Check out American DJ Stinger Gobo on DJkit.com!